The Vitamix came yesterday! 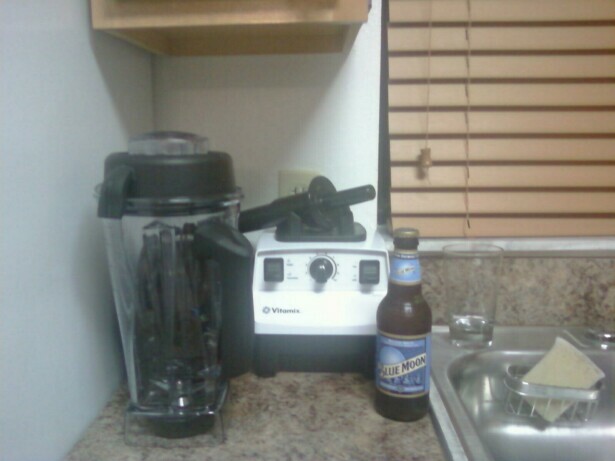 I was excited at first, and then pulled it out of the box and thought… do I really need this blender? I definitely needed it before my sister’s generous donation of the KitchenAid processor, but now… I’m not so sure. I’ve been getting pretty decent results now, and I’m scared to try the vitamix and love it. I think I may return it without even trying it; it’s better not to know what I’m missing, right? Of course, I’ve been watching all kinds of videos online and reading reviews and it’s making me want to at least try it out… hah ; ) The price is obscene, but it has a 7 year warranty and lots of people have had theirs for 10+ years of daily use, which makes it less so. Thoughts? I actually just went to the home and remodeling convention in miami with my mom, I think it was last week (before even seeing your posts about it) and we were so intrigued by the guys presentation that we bought two of them. Like you, I am on a total smoothie kick now! I am totally in love with this thing and would recommend it to EVERYONE! It is very, very pricey but sooooo worth it. I have yet to find anything wrong with it and have been making something everyday.